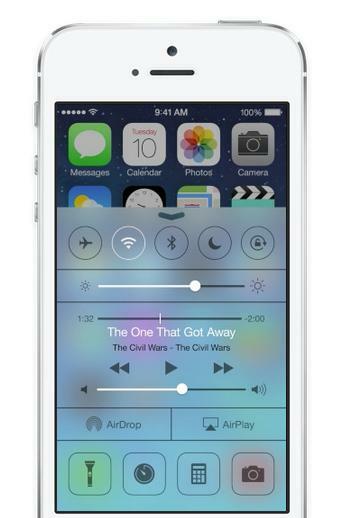 There have been a few problems reported with the speakers on Apple devices after the iOS 7 update. Some people get no audio from the speaker, some report that audio is only gone when playing media, and for some people it’s not working with headphones either. There are a couple settings you should check and other steps worth trying before you contact Apple. If you’re having the problem with an iPad, try toggling the side switch. You can also check under Settings > General > Use Side Switch To and see if it is set to Mute. Check under Settings > General > Accessibility > Mono Audio and make sure it’s off. Press and hold the Sleep/Wake button and the Home button to reboot your device. If you find that the headphones work then there could be a problem with the port. You could try blasting it with compressed air, or even sucking to see if anything is stuck in there. If you’re going to use a brush then be very gentle. Many people have found that the media controls in the Control Center and on the Lock Screen are not working after the iOS 7 update. Luckily there’s an easy fix. A soft reset should deal with this one, so press and hold the Sleep/Wake button until the red “slide to power off” appears and slide it. Once the device is off, simply press and hold the Sleep/Wake button again until you see the Apple logo. You may find after updating that you end up syncing contacts, or even receiving messages that belong to another family member. This is probably because you are using the same Apple ID. Your best option is to create a new Apple ID for one of you (you’ll still be able to share an iTunes account). Go to Settings > Messages > Send & Receive and you can select any number or email that you don’t want to be sharing messages with. You can also change your Apple ID in here. For contacts, the problem is probably caused by sharing iCloud. You can go to Settings > iCloud and choose Delete Account and then Keep on My iPhone. Then use your new Apple ID to set up a new iCloud account just for you. 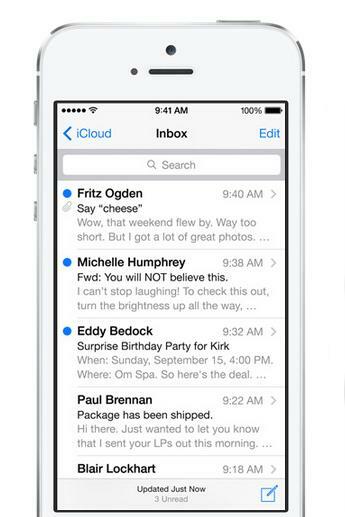 A few people have reported issues with sending text messages after the iOS 7 update. There are a couple of possible reasons for this. If the issue is popping up in iMessage then it may be because iOS 7 turns the send as SMS option off by default. Go to Settings > Messages and turn Send as SMS on. You could also try the steps listed under Bug: iMessage or FaceTime not working. If the issue seems to be with sending texts to other types of phone then it could be because the recipient is still registered with Apple, or has another Apple device. It may be worth checking if they used to own an iPhone that they never deregistered, or if they used their SIM card in an iPhone in the past. Quite a few people have found that they can’t download app updates after the iOS 7 upgrade. There could be multiple apps showing that updates are available, but they simply don’t start. Turning Wi-Fi off and on again, or even connecting to iTunes may not resolve the problem, but there are other things you can try. Go to Settings > iTunes & App Store and tap on your Apple ID, then select Sign Out. Double tap the Home button and make sure you swipe up any problem apps that are running to close them, then reboot the iPhone and sign back in to iTunes to try the update again. If that doesn’t work, try going to Settings > General > Usage and select the problem apps, then delete them, reboot the device, and try to download them again. 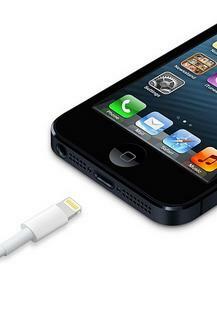 Along with the iOS 7 update Apple killed support for many unlicensed, third-party cables and chargers. This results in users getting the pop-up message “This cable or accessory is not certified and may not work reliably with this iPhone.” You can dismiss the message and in some cases you might find that the cable works anyway, but it probably won’t. Certified cables have an authenticator chip in them. There is a workaround you can try. Plug the charger into the wall or the cable into your computer, and then plug the other end into your iPhone. Dismiss the warning. Unlock your iPhone and dismiss any warning. With the screen on, unplug the cable and then plug it back in again. Dismiss the warning. You should find that it charges now. Buy a cable that’s licensed and part of Apple’s MFi program. They generally have the “Made for iPhone/iPod/iPad” logo on them. Close the camera app, double tap the Home button and swipe the camera app up to close it completely, then reboot your iPhone and try loading the camera app again. This will work for some, but it doesn’t mean that the issue won’t return. Go to Settings > General > Restrictions and make sure Allow: Camera is on. If an app is causing the problem then removing it might fix your camera. Remove third-party apps one by one, reboot the iPhone, and test the camera. It’s a good idea to start with anything that obviously uses the camera. Take it into an Apple Store and show them the problem. If you’re still under warranty then you should get a replacement without any hassle. Lots of people have been complaining about the new calendar app in iOS 7. It may be a touch too minimalist, or perhaps the tweaked functionality is causing frustration. There’s no way to get the old calendar back, but there is another option. Download a new calendar. There are some great options in the App Store. We recommend Fantastical 2 ($3), or you could try free options like Tempo Smart Calendar or Cal. We’ve seen several complaints about the difficulty of scaling photos for use as wallpapers. It will quite often zoom in on the photo and cut heads off at the top. We think this is down to the parallax effect. We’ve got three possible fixes for you to try. Turn the parallax effect off by turning Settings > General > Accessibility > Reduce Motion to on. You should notice much less zooming and be able to crop correctly. Create the exact right size of wallpaper, we discuss this in our iOS 7 tips and remember that a 200 pixel border all the way round your image will not appear in the central screen. Open the photo you want to use and tap on it so the menus disappear, then take a screenshot (press Home and Sleep/Wake together) and use the screenshot as your wallpaper. A few iPhone owners have found that their Home button, or their Sleep/Wake button, or both, are less responsive after the iOS 7 update. It may take several button presses to register, and the fault can be intermittent, working perfectly sometimes then refusing to respond. We haven’t found a definite fix, but there are a couple of possibilities. Go to Settings > General > Accessibility and try toggling Switch Control on and off again. Back up your iPhone with iCloud and try restoring it. Take it to an Apple Store and show them, although you can expect a big charge for a replacement phone if you’re out of warranty. It might be cheaper to try and get a button replacement at a local repair shop. A lot of people have been reporting that the ringer volume on their iPhone is much lower after the update to iOS 7 and that it’s causing them to miss incoming calls. This seems to impact various models and there’s no definite fix that works for everyone, but there are a few things worth trying that seem to have worked for some people. We’re going to assume you’ve tried going to Settings > Sounds and using the volume rocker to turn the volume up. Workaround: Create your own ringtone using a song and crank the volume up. Go to Settings > Sounds and toggle Change with Buttons then try and use your volume rocker. Try going to Settings > Music and turn Sound Check off. A number of people have been complaining about the fact that certain apps seem to refresh themselves after multitasking by switching to another app and then returning. For example, Safari refreshes and takes you back to the top of the page instead of returning you to where you were, or Facebook dumps you back at the top of your feed instead of where you were scrolling. Even iBooks sometimes refreshes and takes you back to the bookshelf before loading back to the page where you were. This seems likely to be a memory issue, and it could be related to the time between switching, but it’s not clear. If it is a memory issue, then that would explain why people with older devices seem to encounter the problem more. Sufferers have reported that this is not related to Settings > General > Background App Refresh and changing those settings has no impact. If you switch within a few seconds then the refresh is less likely to happen. The longer the gap before you return, the more likely it will refresh. Some people reported temporary success after a hard reset, others found that performing a complete restore worked for them, but there is no consistent fix because for other users a reset or restore has not solved the problem. Apple is apparently investigating, so complain about any issue you encounter and report details and it might help speed up an update fix. We’ll keep you posted. 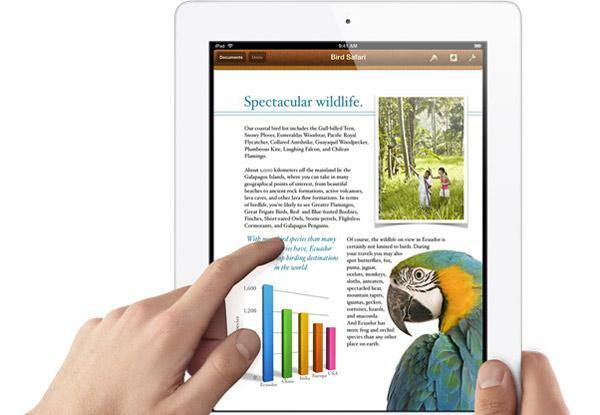 There have been a few reports of people finding that the touchscreen on their iPad or iPhone is unresponsive after the iOS 7 update. This seems to occur intermittently. Sometimes after a call, or when loading or exiting an app, the screen will just stop registering any touch input at all. There is a theory that this might be a hidden message about battery life or some other message that you can’t see which is disabling the rest of the screen for touch input. That would explain why the workarounds will only temporarily fix it. Launch Siri and tell it to launch an app for you. Press and hold the Home button and the Sleep/Wake button until the screen goes blank and you see the Apple logo to restart the device. Try restoring the device using iTunes. A fix via an update from Apple seems likely. In the meantime you should report the issue to Apple or take your device in to an Apple Store and show them the problem. Recently, an issue has arisen for users downloading updates for apps. Rather than the app downloading and installing the update, the app icon simply displays “Waiting” and never progresses past this point. Performing a hard reset. Do this by holding down the Home button and the sleep/wake button at the same time. It appears to fix the problem. Open the App Store and log out of your Apple account. Reboot the device. Upon restart, log back in, open the App Store, and retry the download. Turned off the Automatic Update option by going to Settings > iTunes & App Store > Automatic Downloads > Updates. Delete the app currently marked as “Waiting” and re-download it from the App Store. That’s all of our iOS 7 problems and fixes right now, but check back because we’ll update this roundup with new problems and solutions as we find them. If you’ve encountered a different issue, or you’ve found a fix that works, then please post and share.